You can NOT use ordinary dirt in your global buckets. Why? Wicking! Key to the success of Global Buckets is the water wicking up from the reservoir up into the upper bucket where the plant's root soak up the water. Ordinary dirt or soil will not wick. You need a growing medium that wicks. Sphagnum peat and coir are excellent wicking materials. Here in the USA you can buy bags of pre-mixed material which work well. It's often sold as "potting mix". The main ingredients should be listed as sphagnum peat and/or coir with the remainder as some combination of vermiculite and/or perlite. The following materials do NOT wick: screened topsoil, forest biproducts, bark, forest humus, sawdust or partially composted something. If the bag lists any of the preceding materials as the dominate material then do not buy it. Note: 2009 results were disappointing. See Coir discussion below. We're very interested in Recipe # 3 which uses Coir and eliminates Sphagnum Peat. Why? Coir, or coir pith, is a byproduct of the coconut industry. Until recently, coir was viewed as waste. It was burned or shoveled into massive piles which sat for decades. Recently, it was discovered that coir pith is an excellent substitute for Sphagnum Peat. Why do we care? It takes 10,000 years for Sphagnum Peat to be created in wetlands and it's rapidly being depleted. Also, coir pith is widely available in many developing countries and regions, like India and central America...an area where Global Buckets could be utilized. Using a large percentage of coir in your mix requires special attention due to its high pH and possible excess salt levels. Green Roof Growers has an excellent post on the subject. Probably the most confusing material is Dolomite. Often it's not labeled as Dolomite, but don't give up, you can find it if you look a little. Dolomite is commonly sold in garden or farm stores. 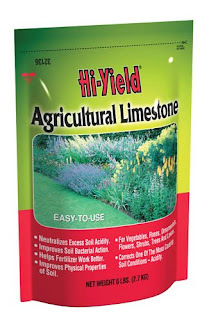 -Often the bag will NOT say "dolomite"
-It might be labeled as "Agricultural Lime", "Agricultural Limestone" or "Garden Lime". Check the ingredients label. It must have CALCIUM & MAGNESIUM. -"Agricultural Lime" and "Garden Lime" are broad terms. Just remember, if it doesn't say calcium, magnesium or calcium/magnesium carbonate or some variation of this, then it's not dolomite. -"Hydrated Lime" is not dolomite. Hydrated Lime is highly concentrated, highly caustic and dangerous to handle or breath. Also, it contains no magnesium. -Any bag of "lime" labeled "DOLOMITE" containing calcium and magnesium is suitable. 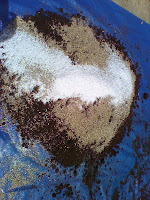 -Dolomite can be sold in finely powdered, pulverized or pelleted form. Buy the powdered or pulverized and avoid the pelleted form. The finer the dolomite is ground, the faster it becomes available to the plants. Talcum powder fine is best. -Acid loving plants, like strawberries or blueberries, only need 1/2 cup or less. Important directions are in our video "PLANT a Global Bucket".